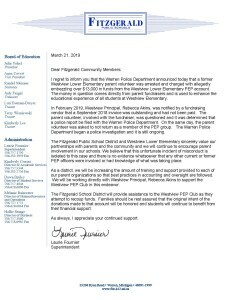 He was the PTA president at Westview Lower Elementary School in Warren, but now Ronald Davis is accused of embezzling funds from the parent group. Warren Police said they also found cocaine in Davis' possession when they searched the home he shares with his mother and young son. 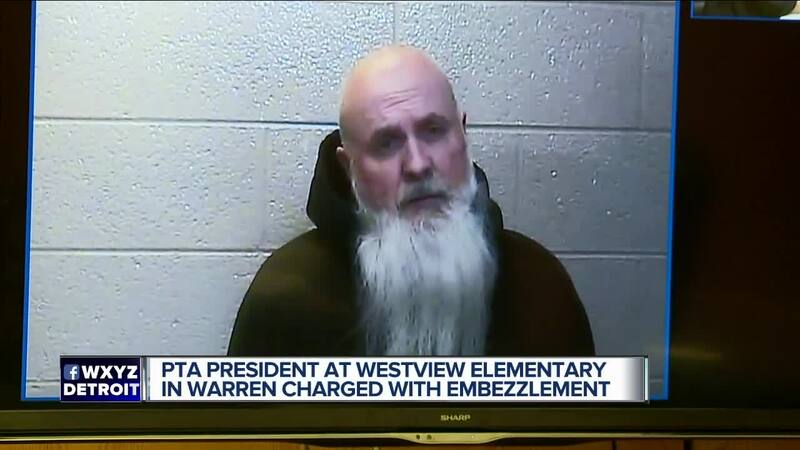 WARREN, Mich. (WXYZ) — He was the PTA president at Westview Lower Elementary School in Warren, but now Ronald Davis is accused of embezzling funds from the parent group. Warren Police said they also found cocaine in Davis' possession when they searched the home he shares with his mother and young son. The case came to light after a vendor involved with fund raising had not been paid. School officials began looking into the matter and determined that Warren Police be notified. At that time, Davis was removed from the PTA. Warren Police Commissioner William Dwyer said Davis, 43, told investigators that he used some of the money to support his drug habit. He's accused of stealing $13,000. Davis, to support his drug habit, appears to have used his position of authority to steal money raised by dedicated students, parents and educators. This money would be used to support dances, field trips and other wonderful student events. To steal money, knowing that it was going to such worthy causes is despicable and will not stand. Bond for Davis has been set at $100,000 cash or surety.